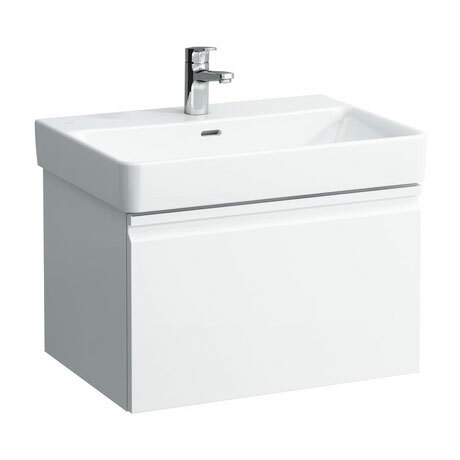 This attractive 620mm 1 Drawer Vanity Unit and Basin is available in a Gloss White or Graphite finish and also has an option for an interior drawer for additional storage. The unit has an integrated handle in the front of the soft closing drawer and the ceramic basin features a single tap hole with an integral overflow. All Laufen sanitaryware is guaranteed for 5 years and furniture 2 years.